AfroCAB was formed in 2011 to facilitate community treatment access dialogue with multinational and generic drug manufacturing companies, policy makers, UN agencies, civil society organisations, and others working on anti HIV drugs and clinical research of new molecules and diagnostics. HIV biomedical research has been conducted on the African continent, mostly by researchers and institutions from the North. Community Advisory Boards (CABs) were historically set up by national research agencies as consultative bodies that allow meaningful community input into health-related research. However, communities have not been meaningfully involved from research protocol development to dissemination of results and what these results mean for communities. Researchers have in the past convened CABs in different countries with weak accountability mechanisms and technical capacities to understand complex research protocols. AfroCAB was established to fill the unmet needs in both access to quality treatment and ensure meaningful accountable engagement with researchers across Sub-Saharan Africa. When the AFROCAB was established, an Executive Steering Group (ESC) was put in place to spearhead its operations. The AfroCAB steering group provided leadership through 2013 until the formal launch of AfroCAB in Cape Town on 3rd December 2013. The SG provided oversight in the recruitment of new members from different countries in West, Central, Eastern and Southern parts of Sub-Saharan Africa. Individuals join AfroCAB as members in their own right. Many members of AfroCAB are linked to a wide range of organisations in Africa. Members also include advocates that are not linked to organisations, and HIV-positive people who want to use the training offered in the workshops. An Executive Steering Committee elected by the members coordinates the programme and AfroCAB development. AfroCAB connects members via a web-based message board and face-to-face meetings. The message board enables members to contribute to clinical trials design, comment on African treatment access issues communicate with other advocates and keep up to date with reports on the latest research. The core programme comprises three meetings a year and four country consultations. National meetings include presentations from experts, feedback from recent medical conferences and training on practical and technical issues. Speakers include leading doctors and researchers, representatives of originator and generic pharmaceutical companies, senior programme and policy makers and experienced advocates. Meetings are limited to 30 people. Meetings are interactive, with questions, discussions with time to network. Travel, accommodation and other logistical costs are paid for participants who live outside the hosting country. Background reading, presentations and reports from workshops are available on this website. The public can read meeting reports on the website. Meeting reports include a list of attendees. People living with HIV and other advocates must be involved in all aspects of medical care. This includes input into clinical guidelines and the design and management of clinical trials. 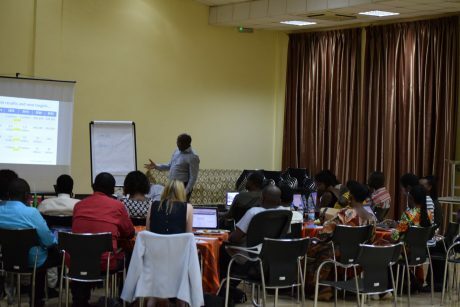 AfroCAB trains and raises awareness among members about national guideline adaptation processes. Members are encouraged to work with ART guideline technical working groups in their respective countries. AFROCAB participates in clinical trials and other research in Africa. Since 2013, AfroCAB has received grants from ViiV Healthcare, Janssen and Gilead Sciences. Pangea Global Health also provided support for a AfroCAB Pre-ICASA meeting in 2013. A small grant to conduct community consultations in Africa for the 2015 World Health Organisation (WHO) HIV Guidelines was also received from WHO. AFROCAB submits funding proposals to originator pharmaceutical companies to cover travel, visa fees, and accommodation for members travelling from different parts of Africa for its bi-annual meetings held in different cities of the continent. The funds are also used to support country level advocacy, training and other activities. This funding helps support AfroCAB as a continental project with a multiple country reach. AfroCAB consults members on the focus area for each time period which is relevant to the global and regional HIV response. The content of the meetings is decided through consultation with members, the ESC and the Coordinator. AfroCAB holds meetings with pharmaceutical companies and generic companies based in Africa and India. These meetings discuss their current products and future research. AfroCAB decides which companies to invite and sets the agenda. AfroCAB also collaborates with other organisations, policy makers and other experts to provide or be actively involved in its activities. These individuals/organisations provide training and technical support to AfroCAB. AfroCAB also proactively seeks community involvement in research. In some cases, AfroCAB work is supported in by independent research. Directors and employees of pharmaceutical companies involved in research into HIV treatment and diagnostics, or employees of agencies providing PR, marketing and other professional services for these companies may not join the AfroCAB. AfroCAB work closely with industry, but AfroCAB is a community-based network, and it is important to respect this boundary. AfroCAB cannot provide any funding for people OR ACTVITIES outside of Africa. AfroCAB is supported by originator companies. ARVs in Africa are supplied by generic manufactures most of whom are based in India. No funding has been received from a generic manufacturer.